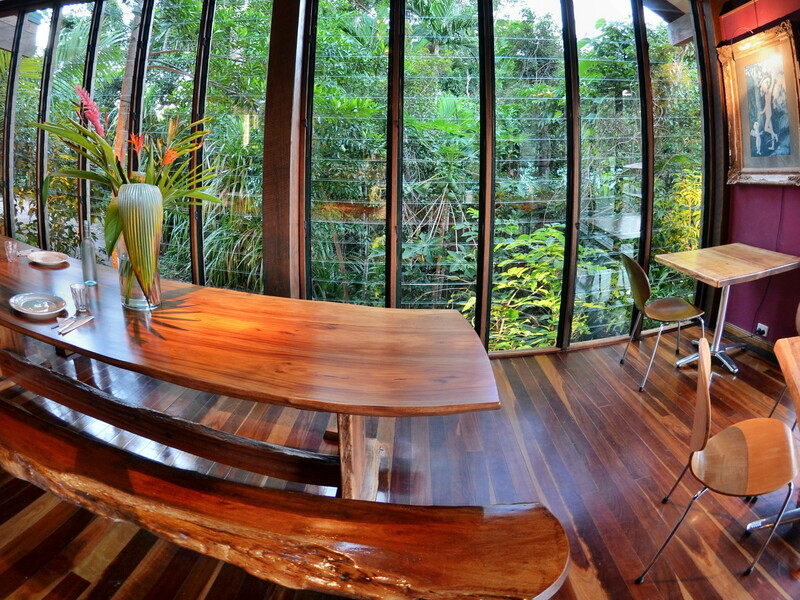 Tropical rainforest is the richest and most complex of the earth’s environments in plant and animal life. In Australia (the world’s driest continent) rainforest covers less than one thousandth of the land mass yet accounts for nearly half of the fauna and a quarter of the flora, including rare and endangered species found nowhere else on earth. One of the oldest inhabitants is the endangered Southern Cassowary (Casaurius Casaurius Johnsonii), a member of the primitive Ratite family which include the Australian Emu, the African Ostrich, the New Zealand Kiwi and the South American Rhea. Weighing in at up to 80 kgs and standing as high as 2 metres tall, encountering a Cassowary in it’s natural habitat is an awe inspiring experience. Cassowaries are known as a “keystone” species as they play an integral role in rainforest biodiversity through their seed dispersal behaviour. 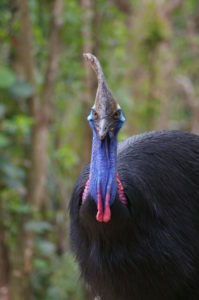 Without Cassowaries to distribute the large seeds of numerous plants and trees, the rainforest would be a much less diverse and complex environment than it is today. 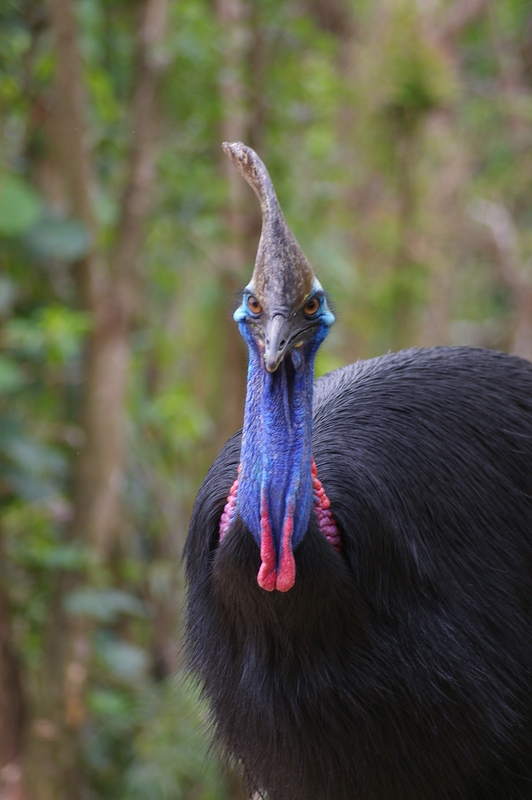 Sadly, with an estimated population of less than two thousand, this crucial interdependance of Cassowaries and tropical rainforest is threatened. 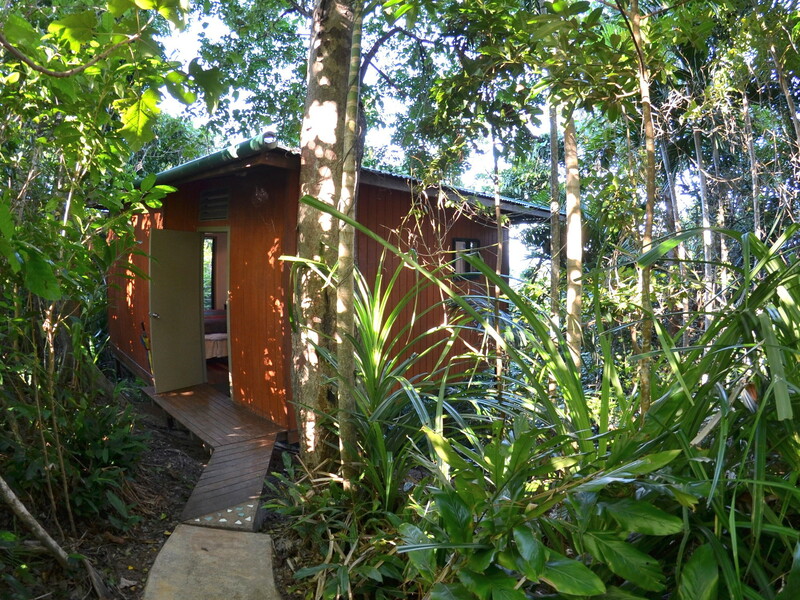 Sanctuary is one of the best places (and probably the most comfortable) in Australia to see a Cassowary in the wild. 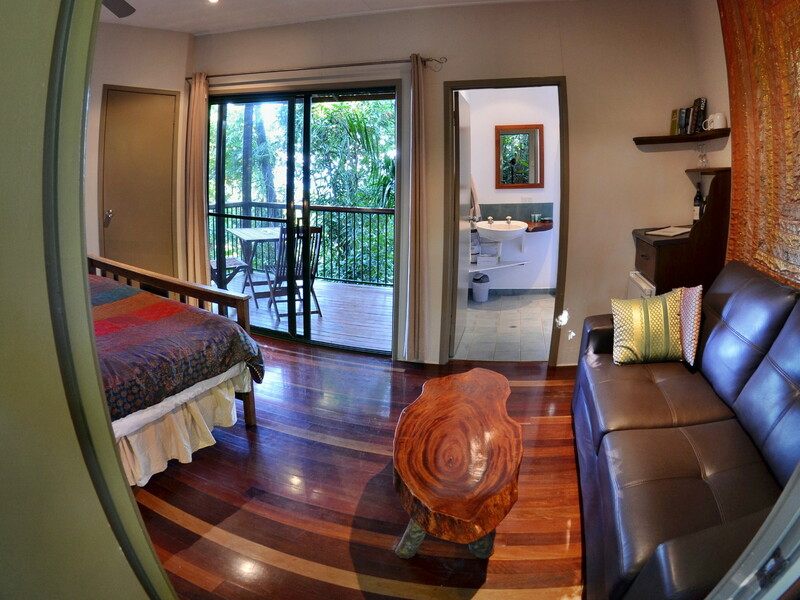 With a forested area of over 50 acres, Sanctuary is classified as “critical cassowary habitat” and provides an essential wildlife movement corridor between nearby National Parks. 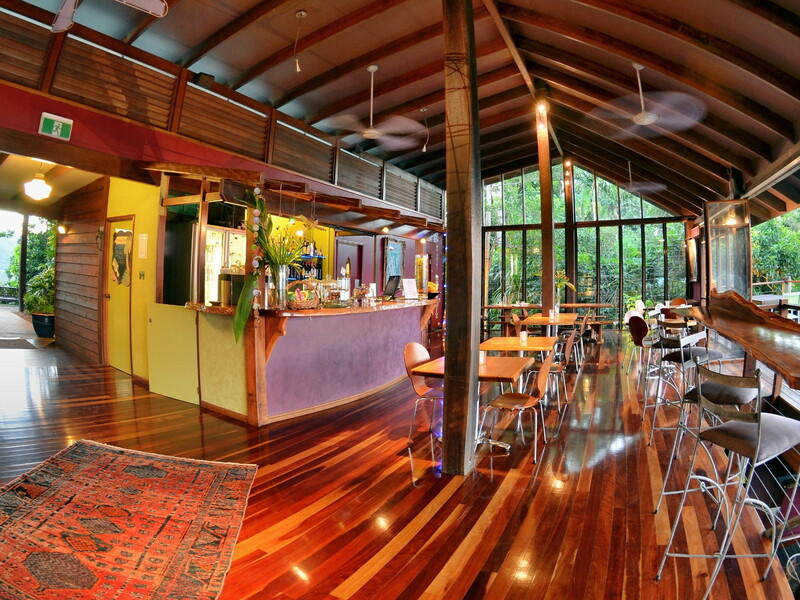 More than 95% of Sanctuary has been set aside as a Protected Area for cassowary habitat and rainforest conservation. 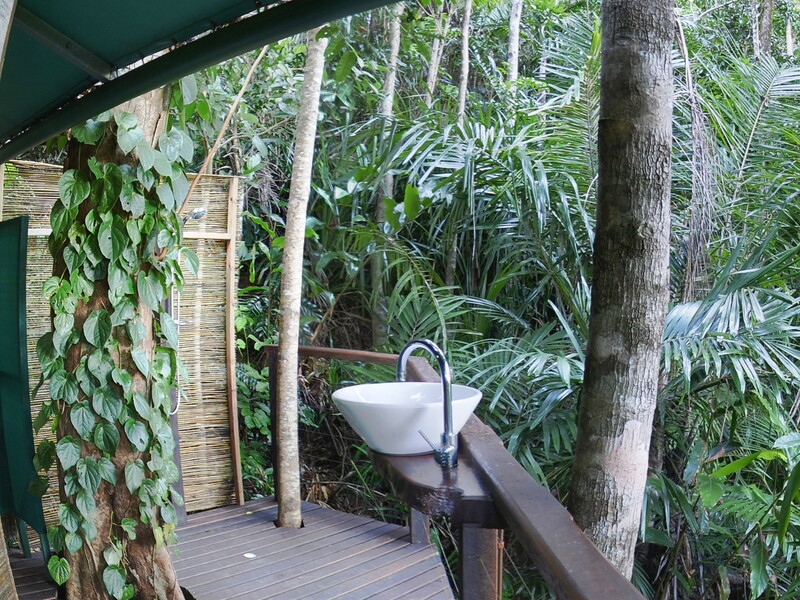 Apart from Cassowaries, Sanctuary is a bird watcher’s paradise. 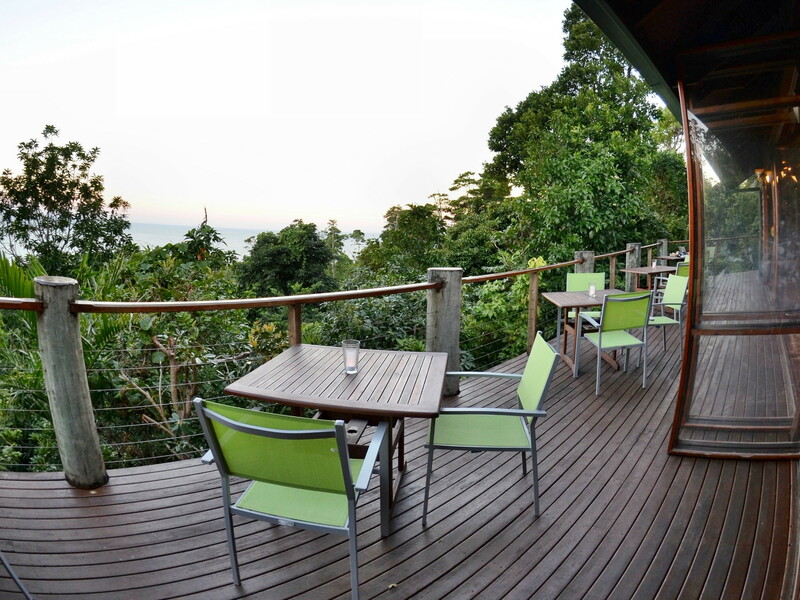 The elevated balcony on the main building has extensive views over the top of the rainforest canopy allowing for uninterrupted observations of birdlife that would otherwise be difficult to see. A comprehensive bird list for the area is available. Of course, Cassowaries are not the only unusual creatures you might encounter at Sanctuary. 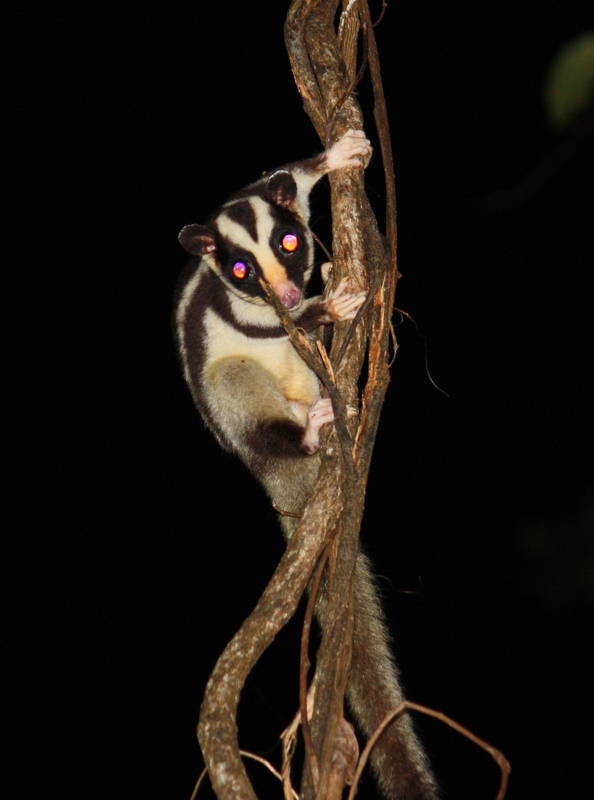 The uncommon Striped Possum (Dactylopsila trivirgata) can often be heard and occasionally seen as it forages noisily in the rainforest at night jumping from tree to tree in its search for food. Using its elongated fourth finger to probe into crevices of rotting dead trees for grubs, these possums can be so vigorous in their search that large trees are quickly hollowed out and come crashing down to become recycled on the forest floor. 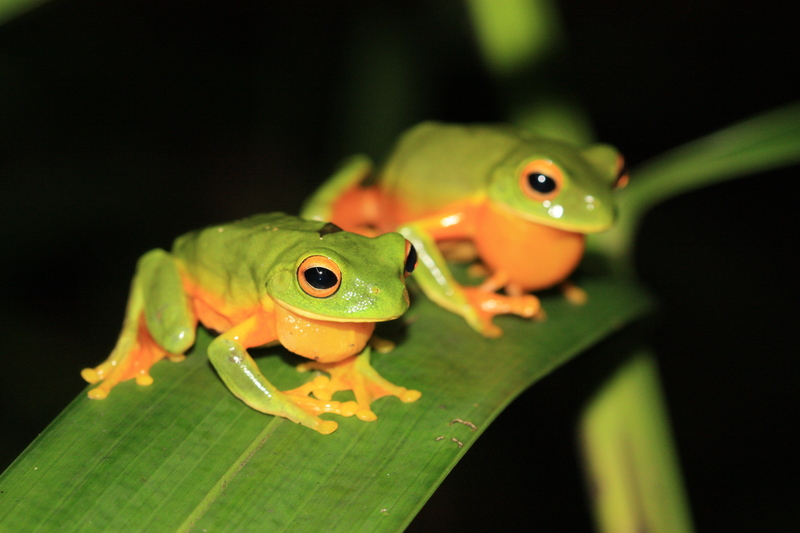 More commonly encountered are Giant White-lipped Green Tree Frogs (Litoria Infranata) which can often be seen resting during the day in the main building after a long night hunting for moths and other insects. The largest tree frog in the world, this frog is often mistaken by guests as a fridge magnet as the cool smooth side of a refrigerator is one its favorite resting places. 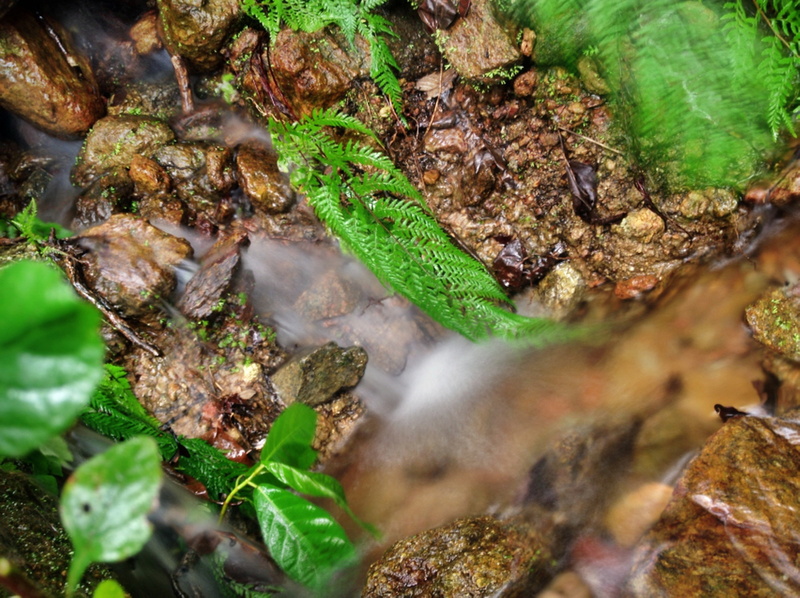 And of course, an enormous range of insects abound in the rainforest. From the predatory Giant Praying Mantis to the exquisite blue Ulysses butterfly and the largest moth in the world, the Atlas or Hercules moth, there is bound to be something, even for the most experienced naturalist, to discover.